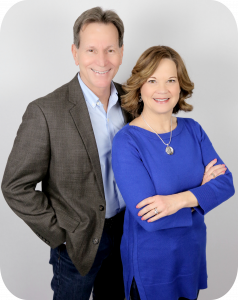 Carol and Dennis are Green Country Realtors whose life calling is SERVICE TO OTHERS. Our pre-real estate careers taught us teamwork, attention to detail, persistence and an unrelenting drive to do the right thing. As YOUR Realtors, we will ensure that every “t” is crossed and every “i” is dotted. We both retired from the United States Navy with a combined total of nearly 46 years of service. AND, both of our fathers retired from the military. WHAT DOES THAT MEAN TO YOU? We have bought and sold many homes and have moved from one home to another more times than we care to remember. We fully understand the challenges and stress of buying or selling a home. We are also well versed in the hardships of moving a household, whether across the town, across the county or across an ocean. We’ve made these moves as young children and teenagers and again as the parents of young children and teenagers. If you are looking for Realtors who have WALKED A MILE IN YOUR SHOES, you’d be hard pressed to find a better team to guide you thru this process. COMMUNICATION IS THE CORNERSTONE of every successful business and personal relationship. When working with us, you can expect frequent phone calls, text messages, and emails with status updates and import news regarding your home search, sales transaction or the marketing of your home. We have five children and six grandchildren. We enjoy spending time on (or in) the water at Skiatook Lake and being entertained by our three fur babies, Brodie, Duke, and Spencer. FUN FACT: Carol and Dennis met some years ago – he was buying a house, she was his escrow officer at the title company. WIN for Dennis, a new house and a life partner! We are ready to serve you. Give us a call, text, or fill out the form below.